The mission of Reno Little Theater is to produce high-quality theatrical experiences that inspire, entertain, and enrich our diverse community. As Nevada’s longest-running community theater, RLT honors tradition while encouraging innovation, creativity, and community participation in the magic of theater. Reno Little Theater provides a setting for people of all backgrounds to learn about live theater. 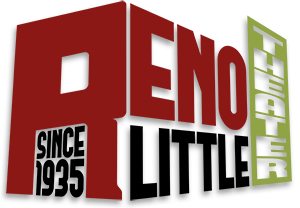 Over the years, Reno Little Theater has offered adult and grammar-school drama classes, play-writing competitions, a children’s theater, and over 5000 on-stage performances. 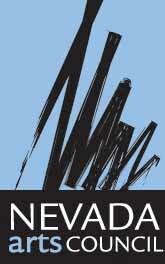 Reno Little Theater has also taken its productions from the main stage to Reno parks and to other Nevada communities. The theater offers a variety of plays each season, including musicals, comedy, mystery, suspense and drama. Reno Little Theater produced it first play, Three Cornered Moon, at the University of Nevada in 1935, making RLT Nevada’s longest-running community theater. In 1941, Reno Little Theater purchased Dania Hall, at Sierra and 7th Streets and, with community funding and volunteer labor, remodeled the building and finished the interior as its first theater. The building served Reno Little Theater for over 50 years before being demolished to make room for a casino parking garage. We opened doors at our new theater, on 147 E. Pueblo St. in January of 2012. 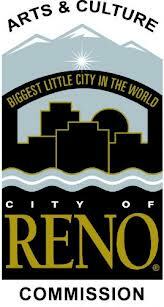 Reno Little Theater is a volunteer-driven, non-profit organization. Donations may be tax-deductible to the fullest extent of the law. We welcome volunteers in all areas of production and administration. We hope that you will browse through our site and contact us if you have questions.